It happens to every parent: something that begins as a mere request to a child, such as get ready for bed, put your shoes on, get your stuff, or do your homework, is ignored or met with some resistance. The parent then repeats him or herself and gets frustrated, and this is when the situation turns into a matured power struggle. Pivoting is simply a way of saying yes, in place of saying no while implying the same meaning. The meaning is same, albeit the tone is entirely different. Saying ‘yes’ in this manner gives children little to argue on. Reframing refers to the process of engaging your kids’ imagination to create behavior you want to see. In a study comprising of 4-year olds, researchers asked the participating children to stand motionless for as much period as they can. These children couldn’t last long, being able stand merely for less than one minute. Next, the researchers requested the children to assume they were security guards. Now, the children stood for four times long as before. Why did this happen? This is because the kids were creatively engaged in a certain activity. Tap into the power of reframing and get your children to do even what they could consider ‘boring activities’. 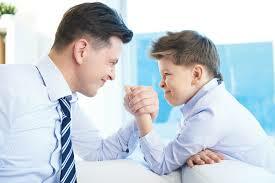 Skilled parents share power with their kinds in many age as well as development-suitable ways. With more autonomy and power for the children, they are able to demonstrate responsibility and ability. On the other hand, controlling parents provide their children little autonomy when it comes to making personal choices. While this, in many cases, is well-intentioned to prevent kids from making mistakes or experiencing discomfort, it affects the child’s decision making skills and makes them dependent even when they grow up. Next time you realize you are instructing your kids, simply stand back and let them do whatever they are doing. They will learn when they do it by themselves; make mistakes, and then trying again.